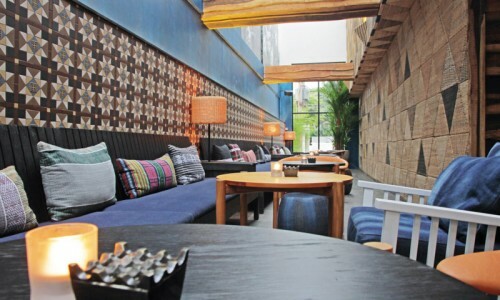 FCalendar #12: Where and What to do in Jakarta this Weekend? Who doesn’t love Disney, am I right? 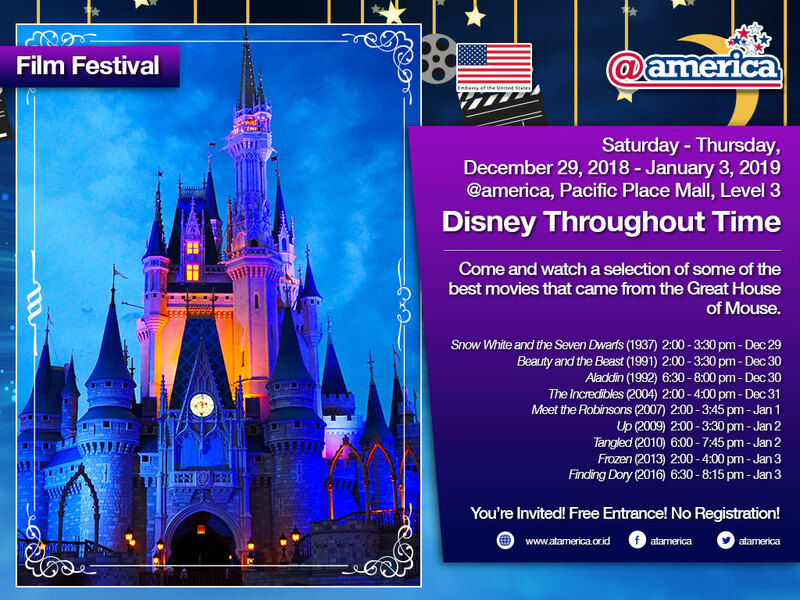 @america Pacific Place Mall, Level 3 has this fun event for all you Disney-lovers. Come and watch a selection of some of their greatest movies; from the Great House of Mouse! Happening from December 29, 2018 until January 3, 2019. They will have everything, from Snow White, Up, even Finding Dory! It’s free, just come and get magical with @america. A Night at The Opera : Tribute to Queen. 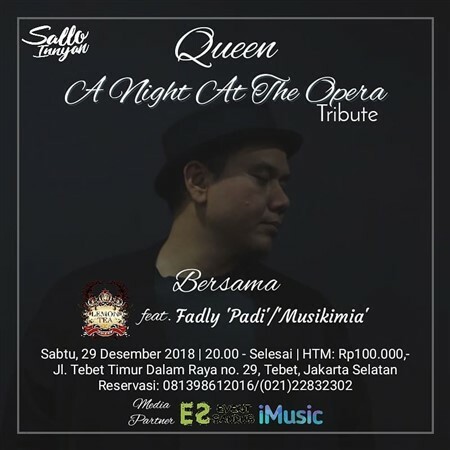 This Saturday 29 December 2018, visit Sallo Innyan resto at Jl. Tebet Timur Dalam Raya no.29, Tebet, Jakarta Selatan. It will be a night full of best hits from the it-band Queen. Your night will be filled with beautiful voices from Fadly “Padi” and Le-Montea Band. Reserve your ticket now! Celebrate your New Year’s Eve at GIA. Raise your glass for the new year, we are so close to it! GIA and DCODE bring you music by Soulvibe and Brand New to give you full experience of lux. 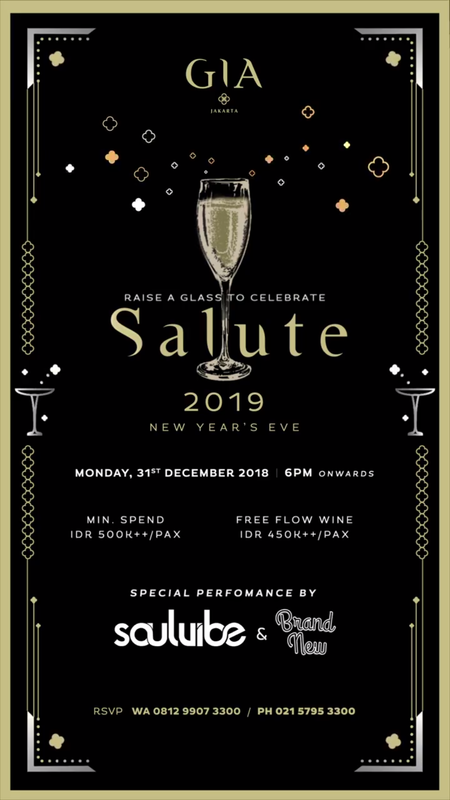 Themed Salute 2019, by spending 450++ you will have free-flow of wine! RSVP now! Another event before this year ends. 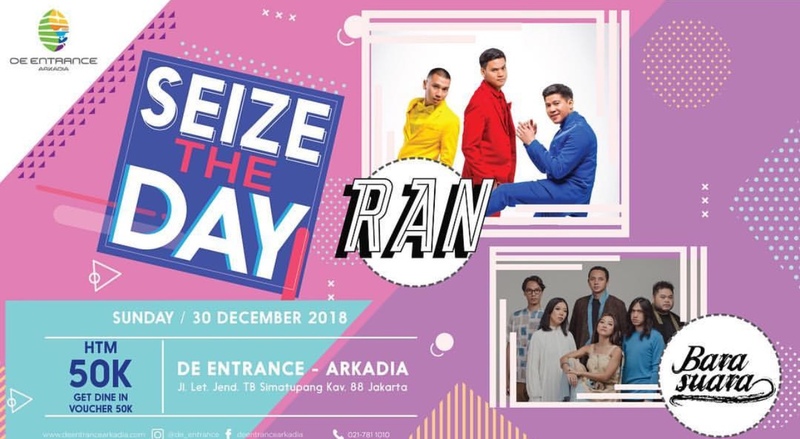 De Entrance Arkadia having a blasting party with special performances by RAN and Barasuara. It will be a day filled with fun and joy to accompany you throughout the last days of 2018. Get yourself a ticket, and party with us! John Legend : Journey of Life and Music. A fan of John Legend? 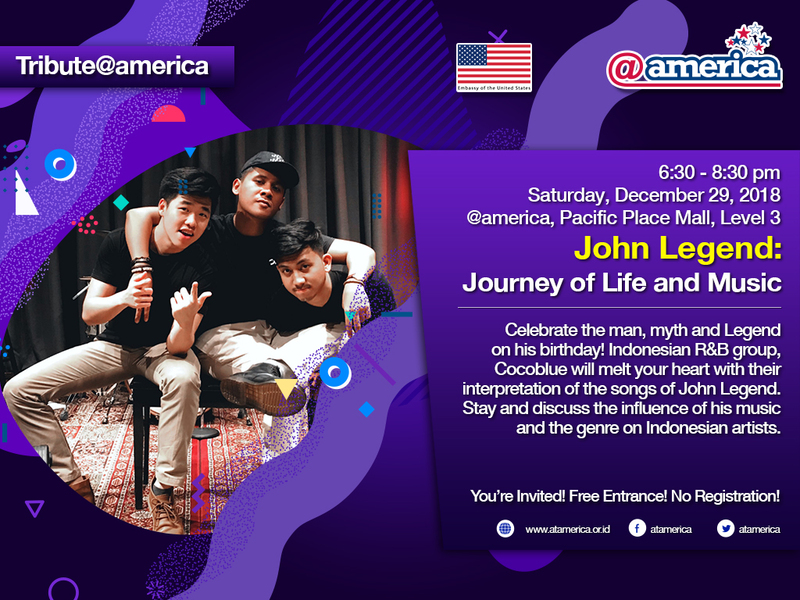 Come to @america, Pacific Place Mall, Level 3 this Saturday, December 29 2018. Celebrate the man, myth and legend on his birthday. The music itself will be provided by Indonesian R&B group, Cocoblue with it’s melting-heart voices, singing John Legend’s songs. Don’t worry it’s free of charge! Bring forward your friends and family. There is no better place to party and bring back your own little prize. This Friday 28th December 2018, Blowfish’s collab with Mizzu present Blushy Babes. For all ladies, you’ll get free entry and makeup products! How fun is that? There will also be special beauty corner called MMM-HMM; wonder what it is? Come and party with Blush Babes (music is provided by W.W , Justeen and many more). Omcuss, Double Deer Soundsystem, Ryo & Radit (Spacewood). Ring +62 21 7196160 or hit them through DM for reservation.